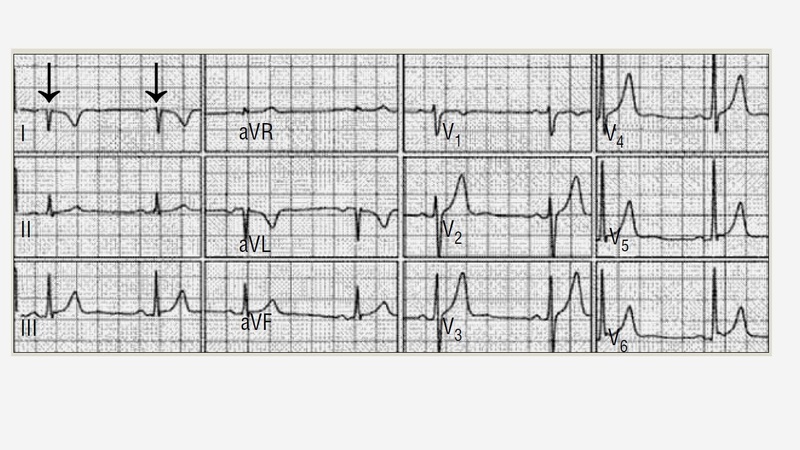 Welcome to another weekly case on ECGclass. If you are new to @ECGclass, #ECGclass, or this blog - please click here to find out what it's all about! A 49yr old man presents to his GP with a 6 month history of chest pain. Sometimes this is triggered by exertion, but sometimes it occurs at rest. It can be prolonged, often lasting several hours and on occasions, all weekend. He considers himself fit and active, so he light-heartedly dismisses his symptoms. His job involves heavy labour, but he 'works through' his mild discomfort, which is very localised in the left upper chest, without radiation. Other than this, he feels great. He only came to see you under duress, from his wife, and feels he is wasting your time, and is keen to get back to work. He is self-contracted and tells you "Time, is money"
He has no arm pain, no dizziness, and no breathlessness. He is a non smoker, with no risk factors for IHD, and is not on any medication. His BP is normal, as always. However, you do hear a systolic heart murmur at the left sternal edge. He's sitting in front of you, feeling 'great' and looking clinically well. At the time of his consultation/ECG, he is pain free, but he admits the pains can come and go several times a day. How are you going to take this consultation forward? Please use the Hashtag #ECGclass if joining in on Twitter! If you want to ask the patient any questions, or request any further information this can be done by the live hashtag during the course of this evening. (Alternatively, if you are referring to this blog at a later date, please leave any comments below). Widespread T-wave inversion with chest pain at rest. On the basis of his resting pain, and ECG changes, it wouldn't be wrong to admit this man. Given his dismissive nature, he may take some persuading, but with rest symptoms he is at risk. You can't reassure him that nothing adverse will happen if he stays at home. At very least, it should prompt an urgent referral to the RACPC. With this ECG and rest pains, it's quite likely he'll be admitted directly from RACPC anyway! In the meantime he should be started on aspirin/beta-blocker and a statin and given GTN/999 advice. The referral should include his ECG and make note of the murmur. (Note: Not all RACPC are set up with ECHO facilities, so if this information is included in the referral, an "ECHO on arrival" request can be made by the clinician receiving the referral). In this case, an ECHO confirmed severe Aortic stenosis. As such, an ETT is contraindicated. He needs same day admission for monitoring, and an in-patient work up for diagnostic cardiac catheterisation. It's not uncommon to see marked LVH with prolonged severe Aortic stenosis. The above ECG shows no voltage criteria for LVH, and we know he is normotensive. Note the similarities in the two ECG's. However, in this second example, there is gross voltage criteria for LVH (fulfilled in Leads I, aVL, V1-6). There is widespread T-wave depression, and (typical of LVH) T-wave inversion in the leads which face the left ventricle (i.e. leads I, aVL, v4-6). Here however, T-wave inversion is also seen in leads V2 and V3. This is suggestive of other pathology, such as co-existing coronary disease. 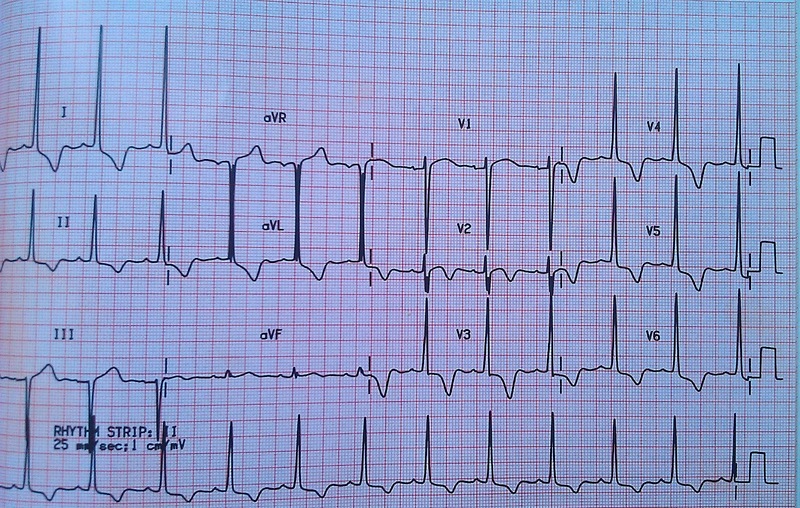 This 49yr old man presents to his GP with a 6 month history of chest pain. He only came to see you under duress, from his wife, and feels he is wasting your time, and is keen to get back to work. He is self-contracted and tells you "Time, is money". #ECGclass - Spring4 - When ECGs go bad! If you are new to either @ECGclass, #ECGclass, or this blog - please click here to find out what it's all about! ECG class is delighted to welcome our second guest speaker of the term! A big welcome to Simon Ross Deveau. 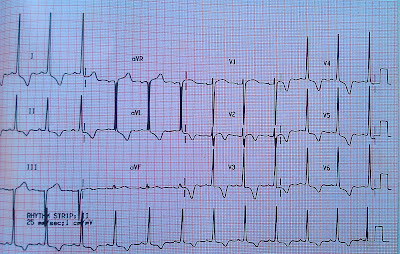 As an ED nurse, Simon has come across a variety of ECG problems in the ED. Problems range from ED staff doing them wrong, ambulance crews querying ischaemia/ST deviation, and people being referred in with abnormal ECGs, who go on to have normal ECGs when electrodes and leads are positioned correctly. 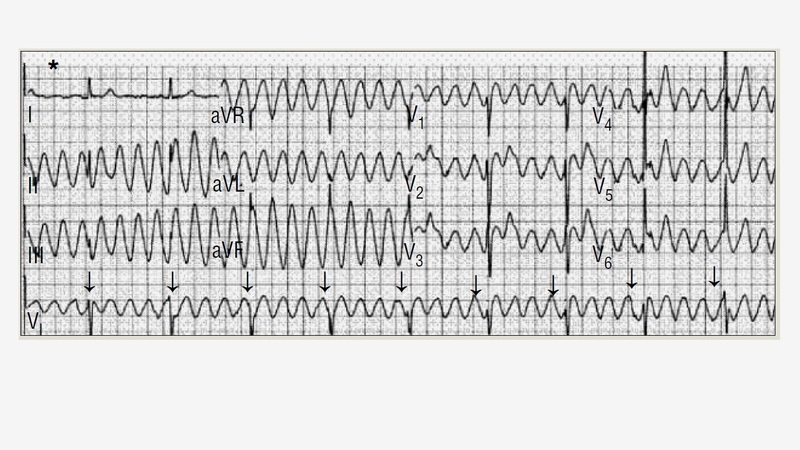 So this weeks ECG class looks at a case of mistaken identity. What happens when ECGs are done wrong? If you want to ask the patient any questions, or request any further investigations this can be done by the hashtag during the course of this evening. Alternatively, if referring to this blog at a later date, please leave comments below. Q1. What is the correct electrode position of the precordial leads? V1 L sternal border, 4th intercostal space. V4 Midclavicular line, 5th intercostal space. V3 Midway between V2 & 4. Q2. What technical error does the ECG below show? The ECG above shows leads RA & LA to be reversed. Lead I is –ve and aVR is +ve = general R direction of cardiac impulse. The differential diagnosis here would be right sided heart (dextrocardia/dextroposition). Q3. How about this one? This ECG shows reversal of V1-V6. Note the RS progression in reverse. Q4. Are we worried about this ECG? Note that lead I shows normal sinus rhythm. Remember to treat the pt not the ECG! This is VT artefact from movement. Q5. At least this one doesn’t need defibrillating, but it there correct lead placement? Note the amplitude of lead I > II . This is always suspicious. (The amplitude of the P wave in lead I greater than in lead II and/or a P wave terminal positive component in lead III). Abdhollah’s sign = LA & LL reversal. Q6. What about this ECG? All the above ECGs could well have come from the same patient so remember to treat the patient, not their ECG! If ECG looks wrong, then redo - If in doubt throw it out! Q7. What general rules could you use to check for correct electrode placement? II & III same general direction ( +ve or –ve but not one of each). I, II & III not all isoelectric. Incorrect lead and pad positioning on ECGs. the majority of ECGs may be done by non-medical staff it is important that those reading an ECG can identify areas that may suggest an error in obtaining the ECG, rather than some cardiac pathology. Colour coding is not universal. American systems use different colours (so Ride Your Green Bike, starting with right arm and moving clockwise will not work). Many systems have replacement clips that attach to the electrodes and these may mean that the red RA electrode has a green clip on it. electrodes produces ST segment changes of ≥1mm in 47% of participants, as well as other changes, resulting in incorrect diagnosis in 60% of patients. diagnosis of pericarditis and ischaemia and a missed MI in a single case. ECG will change both the amplitude and axis of QRS complexes. Baranchuk and Shaw (2009) report that ECGs taken with the patient sitting upright compared to lying down are unlikely to affect diagnosis due to QRS differences. They do suggest that ECGs taken in positions other than lying down are annotated to alert people to differences in QRS complex. difference in women than men. This may be because it is traditional for precordial leads to be placed inferior to breast tissue, rather than at the ‘correct’ anatomical landmark. Leads II and III are generally similar in orientation (either + or -) if one is +ve and the other – ve then there is likely to be misplaced leads. It is possible for one to be isoelectric and the other + or -. P wave amplitude in lead II greater than lead I. No Abdollah’s sign (amplitude of the P wave in lead I greater than in lead II and/or P wave terminal positive component in lead III). This shows a LL & LA reversal. For serial ECGs it is important they are recorded with electrodes in the same place, as altering electrode placement may change electrical morphology and cause the appearance of altering cardiac pathology. So there you have it. Thanks to all who joined in! Please do feedback any comments to @ECGclass or @sydeveau. And don't forget - if you fancy leading a class - just get in touch! 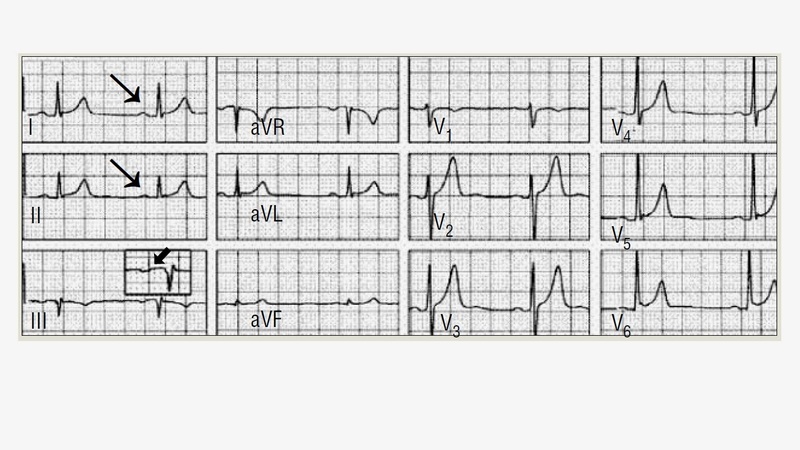 Credit to Baranchuk and Shaw (2009) for the ECGs used in the cases above. Abdollah, H (2009). Electrocardiography Pitfalls and Artifacts: The 10 Commandments. Critical Care Nurse 29(1) pp. 67-73.
electrocardiographic recording. Europace 9(11) pp. 1081–1090. lead electrocardiogram. Heart Lung 16(5) pp. 561–566. ECG morphology. Indian Heart Journal 55(4) pp. 339–43. electrode placement by emergency department clinicians. Emergency Medicine Australasia 19(5) pp. 442–448. Madias JE (2006). Comparability of the standing and supine standard electrocardiograms and standing sitting and supine stress electrocardiograms. Journal of Electrocardiology 39(2) pp. 142-149. Perbody M, Ornato J (1993). Recognition of electrocardiographic lead misplacements. American Journal of Emergency Medicine 11(4) pp. 403–5. 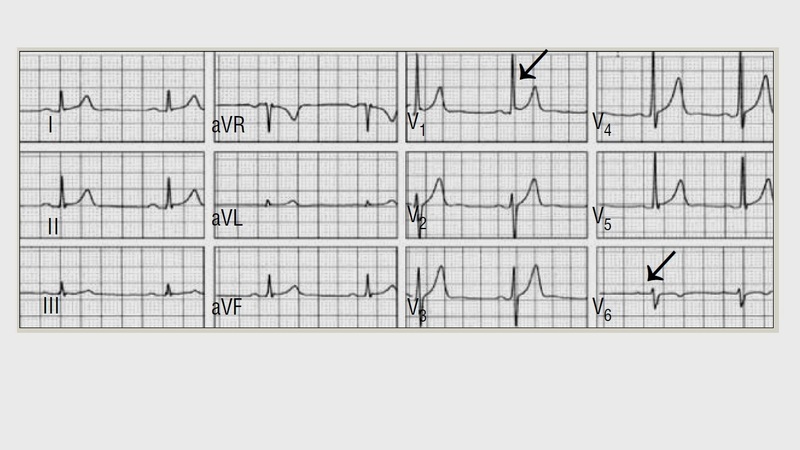 #ECGclass - Spring4-vii - When ECGs go bad! Q7. And Finally…...What general rules could you use to check for correct electrode placement? 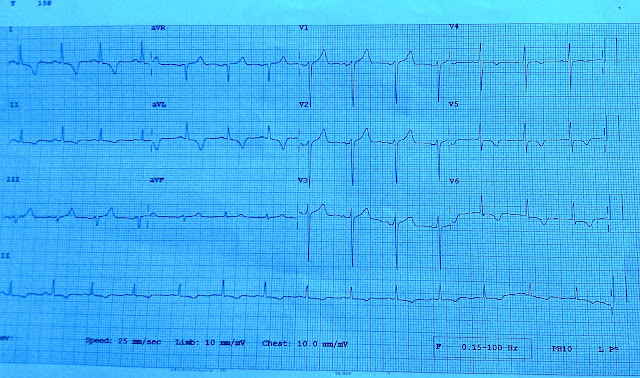 #ECGclass - Spring4-vi - When ECGs go bad! #ECGclass - Spring4-v - When ECGs go bad! #ECGclass - Spring4-iv - When ECGs go bad! 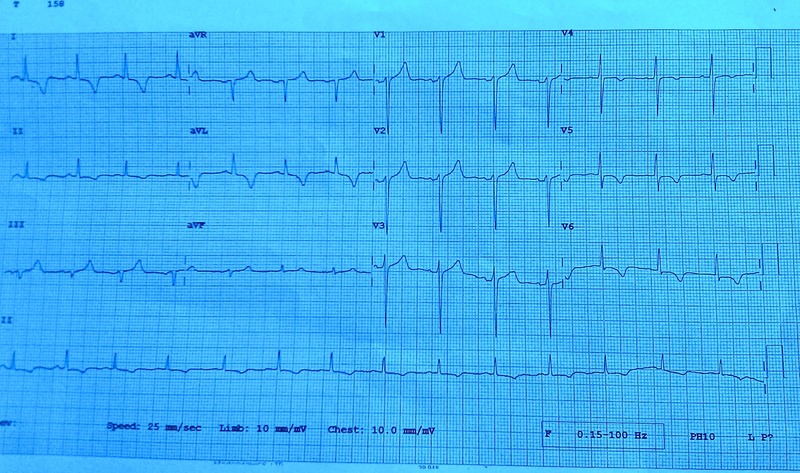 #ECGclass - Spring4-iii - When ECGs go bad! 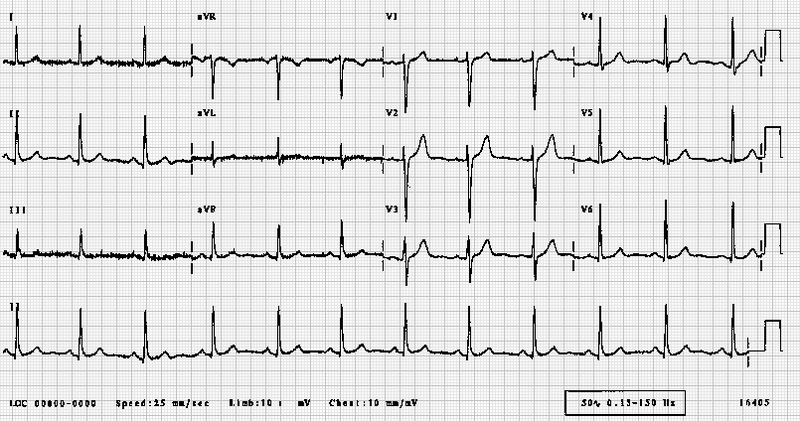 #ECGclass - Spring4-ii - When ECGs go bad! #ECGclass - Spring4i - When ECGs go bad! Introduction - What's it all about?